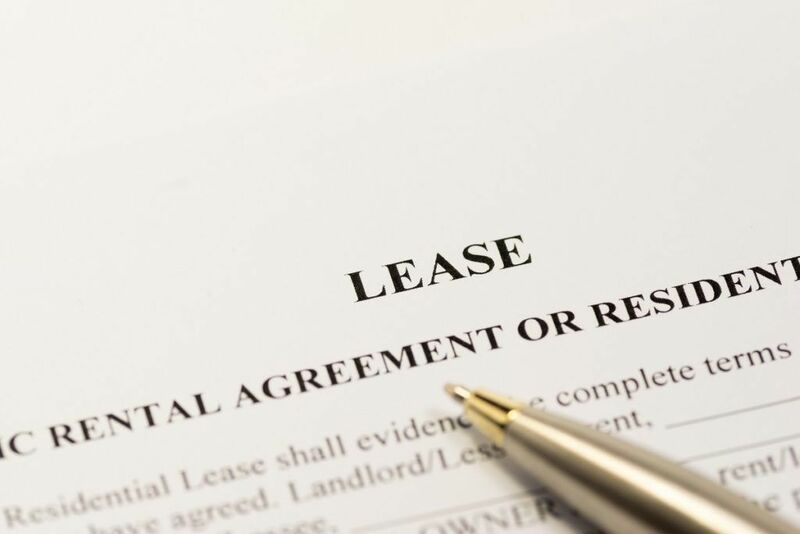 A lease is an implied or written agreement specifying the conditions under which a lessor accepts to let out a property to be used by a lessee. The agreement promises the lessee use of the property for an agreed length of time while the owner is assured consistent payment over the agreed period. Both parties are bound by the terms of the contract, and there is a consequence if neither meets the contractual obligationsEquipment Lease AgreementEquipment lease agreement is a contractual agreement where the lessor, who is the owner of the equipment, allows the lessee to use the equipment for a specified period in exchange for periodic payments. The subject of the lease maybe vehicles, factory machine or any other equipment. Once the lessor and lessee agree. Leases differ broadly, but there are some that are common in the property sectorReal EstateReal estate is real property that consists of land and improvements, which include buildings, fixtures, roads, structures, and utility systems. Property rights give a title of ownership to the land, improvements, and natural resources, such as minerals, plants, animals, water, etc.. The structure of a lease is influenced by lessor’s preference, as well as the current trends in the market. Some leases place the burden on a tenant while others put the entire load over to the property owner. That’s not all; there are many different types in between. Here are the most common forms of tenancy agreements. In an absolute net lease, the tenant takes care of the entire burden, including insurance, taxes, roof, and maintenance. The absolute type is common in single-tenant systems, where the property owner builds housing units to suit the needs of a tenant. The proprietor turns over the finished unit to the tenant for a specified duration. The tenants, in such a case, usually include large businessesCorporationWhat is a corporation? A corporation is a legal entity created by individuals, stockholders, or shareholders, with the purpose of operating for profit. The creation involves a legal process called incorporation where legal documents containing the primary purpose of the business, name, and location that understand the terms of the contract and are ready to shoulder the outlays. However, because most of the burden is on the tenant, property owners usually accept lower monthly rates. The triple net lease comes with three expense categories associated with it: insurance, maintenance, and real property taxes. Such expenses are also known as pass-through or operating expenses because the property owner passed them all to the tenant in the form of rent excesses. In some cases, the excesses are referred to as taxes, insurance, and common area (TICAM). Often referred to as NNN, triple net agreements are the norm in single-tenant, as well as multi-tenant rental units. Under a single-tenant lease, the tenant exerts control over landscaping and exterior maintenance. In short, the tenant decides what the property looks like as long as the tenancy is in effect. A multi-tenant arrangement gives the property owner total control over a property’s appearance. In such a way, no tenant can ruin the overall appearance of a building. In addition, a multi-tenant arrangement requires the tenant to pay a regular pro-rata towards operating costs. For that reason, tenants obtain the right to audit the building’s operating costs. A triple net lease precludes the property owner from hiring a janitor. Each tenant contributes to janitorial and interior maintenance expenses. The modified gross lease transfers the entire burden onto the property owner. Based on the terms, the owner pays all the insuranceInsurance DeductibleInsurance deductible pertains to the amount of money on an insurance claim that you would pay before the coverage kicks in and the insurer pays. In other, property taxes, as well as the common area maintenance. On the other hand, the tenant shoulders janitorial, utility, and interior maintenance costs. The tenancy arrangement also stipulates that the roof and other structural aspects of the building are the owner’s responsibility. However, because the owner takes care of a large portion of the tenancy’s costs, the monthly rates are higher compared to other types. The modified lease type is advantageous to the tenant because the owner takes care of associated risks such as operating costs. The tenant’s rates are relatively the same all year, and he plays no part in the affairs of the property. Unfortunately, the owner may choose to charge a premium each month to cater for the cost of managing the building. As the name suggests, the full service lease takes care of most of the cost of operating a building. Nonetheless, there are a few exceptions, such as data and telephone costs. Otherwise, the rest of the cost is on the property owner, including common area maintenance, taxes, interior, insurance, utility, and janitorial costs. As a result, the monthly rate is slightly high, and such type of leases is common in huge multi-tenant units where it is impractical to partition a building into smaller spaces. Such an arrangement is advantageous to the tenant because there are no extra costs over and above the usual monthly rate. The disadvantage is that the owner may decide to charge a little premium on top of the monthly rate to cover the cost of the tenancy. Most proprietors prefer the full service arrangement because it allows total control over a building’s overall appearance. There are different types of leases, but the most common types are absolute net lease, triple net lease, modified gross lease, and full-service lease. Tenants and proprietors need to understand them fully before signing a lease agreement. Equally, there is a huge benefit for both property owners and tenants if they engage real estate experts during such agreements. Real estate experts are the best people to talk to as they can give the best advice when leasing property.